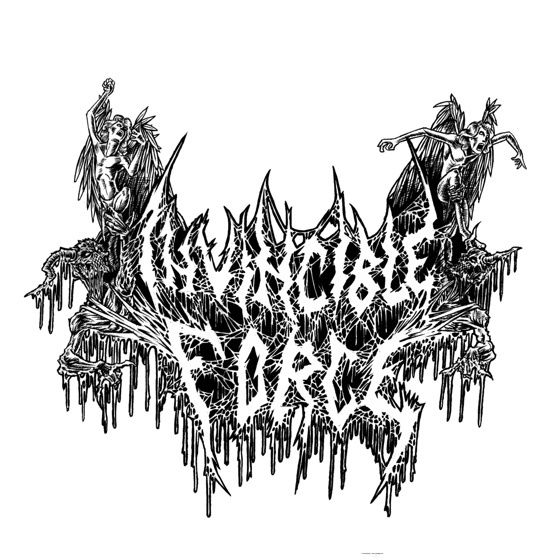 Invincible Force dish up 24 minutes of intense Chilean blackthrash on their debut, another winner from the on-fire Dark Descent Records. The band just storm through these eight songs, bringing to mind the ragged glory of very early death metal like Possessed or the very heavy side of Teutonic thrash, like early, blackened-over Sodom. So the end result of that wonderful equation is squarely on the blackthrash side of things, a sound that I enjoy more and more as the years go on, and this is done about as well as anyone else out there doing it.